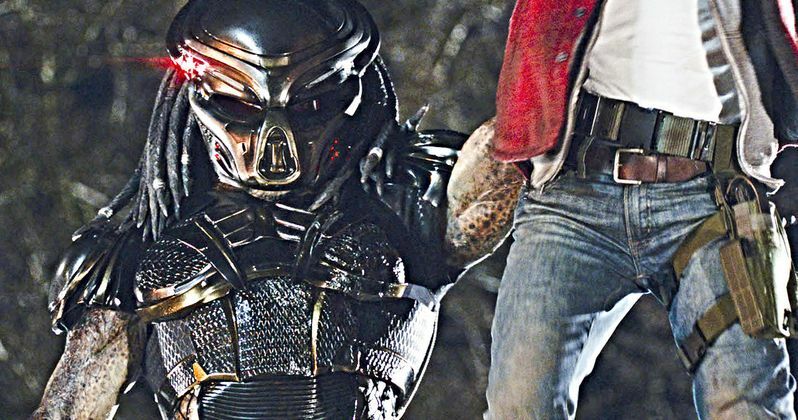 Will The Predator Obliterate the Box Office, or Be a Big Misfire? The Nun came, saw and conquered the competition at the box office last weekend, obliterating expectations by bringing in $53.8 million. That's a franchise-best for The Conjuring universe, despite generally mixed-to-negative reviews for the period horror flick. This weekend sees the arrival of several challengers and The Predator has its deadly sights set on the number one spot. It could wind up being close, but we should be looking at a new champion in town come this weekend's conclusion. This all depends on how steeply The Nun drops off. Generally, when word of mouth isn't great, especially with another challenger coming in that could grab the same audience, the drop is steeper. It shouldn't be too tough for The Nun to nab somewhere in the neighborhood of $30 million, give or take, despite the drop. But director Shane Black's The Predator has the benefit of bringing back a franchise that's been gone for nearly 10 years. In spite of mixed reviews, there's a lot of excitement for the return of the famed hunters. Expect to see the movie bring in around $35 million. The entirety of the top five this weekend will be dominated largely by new releases. The number three spot should wind up going to director Paul Feig's A Simple Favor, which stars Anna Kendrick and Blake Lively. Feig hasn't released a movie since the Ghostbusters remake, but his latest is getting solid reviews, currently sitting at an 85 percent on Rotten Tomatoes. That should help the female-led thriller nab a debut of around $15 million. Crazy Rich Asians, which has proved to be a massive hit for Warner Bros. as it rapidly closes on $150 million domestically, should be the lone holdover in the top five this weekend, bringing in another $8 to $10 million. Rounding out the top five should be the new Matthew McConaughey real-life drug thriller White Boy Rick. The movie has been getting mixed reviews, but the star power and intriguing story should help give it a relatively solid debut of $7 to $8 million. Last but not least, this weekend sees the release of Nicolas Cage's Mandy. The movie has earned rave reviews and could be a wild card. Depending on its theater count and word of mouth, this could be a sneaky hit and could easily wind up in the top ten. Could this be the beginning of the Nic Cage resurgence? Don't be surprised to hear a lot about the Panos Cosmatos-directed picture in the coming weeks. Be sure to check out our full list of the top ten predictions for this weekend and check back with us on Sunday for the box office estimates. These numbers were provided by Box Office Mojo.